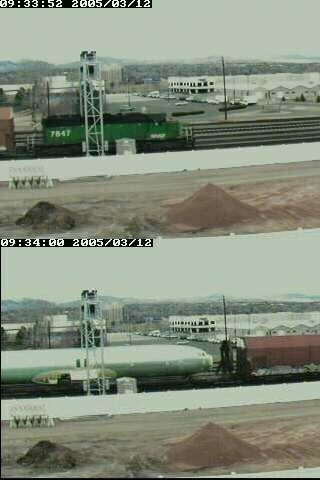 FEC 148 and its flat cars have arrived in Pueblo overnight, having caught the MNYPU as expected. No idea where it is in the yard. 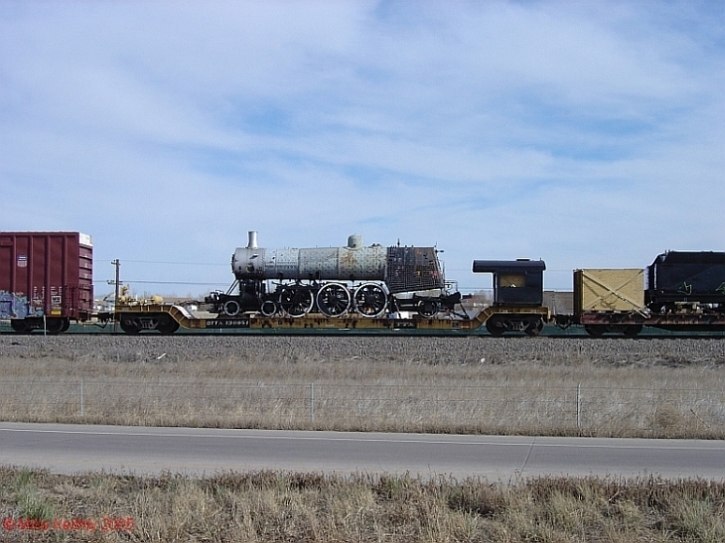 One of the more interesting news items lately is a former Florida East Coast 4-6-2 steamer being shipped from Traverse City, MI, to the San Luis Valley here in Colorado. The locomotive has been purchased by Don Shank's Denver & Rio Grande Historical Foundation, the owners of the South Fork to Creede line. It's being hauled by rail the whole way, with the main parts of the locomotive on heavy-duty flat QTTX 130951, and the tender and other bits following along on another flat. 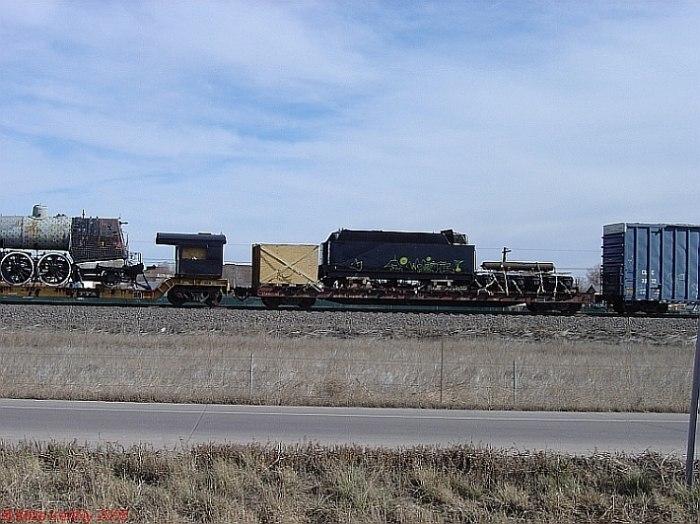 Originally scheduled to be in Walsenburg by tomorrow morning (Saturday, 12-Mar-2005), it got delayed in LaSalle, CO, on Thursday afternoon and didn't make its connection onto that night's MNYPU for shipment to Pueblo. The downside of this is that it was then to be sent west by a special move on the San Luis Rio Grande from Walsenburg to Alamosa or Monte Vista. However, since it won't make it on Saturday, it most likely will happen next Tuesday (15-Mar-2005) instead. Finally, after nearly two months, it's real news! Last weekend was the Durango & Silverton's first Winter Photographers Special, and at the last minute (I had other plans for that weekend originally) I still managed to get a ticket. It was an all-day outing from Durango to north of Cascade and back, with organized photo run-bys at various locations to photograph steam in a pristine winter environment. Absolutely a top notch trip, and great fun. I've finally sorted through the 800-odd photos from last weekend and edited them together into a trip report. Also included is a look at what remains of the 107 abandoned miles of the San Juan Extension between Durango and Chama. Anyway, the report is posted here. Enjoy!